Tilmanstone Colliery Checks & Their Counter Marks. In response to David Shaw’s call for additional information (Page 6, NMMA Newsletter No.11) regarding counter marked colliery checks I can add the following relating to those found on certain pre 1947 lamp checks from Tilmanstone Colliery. 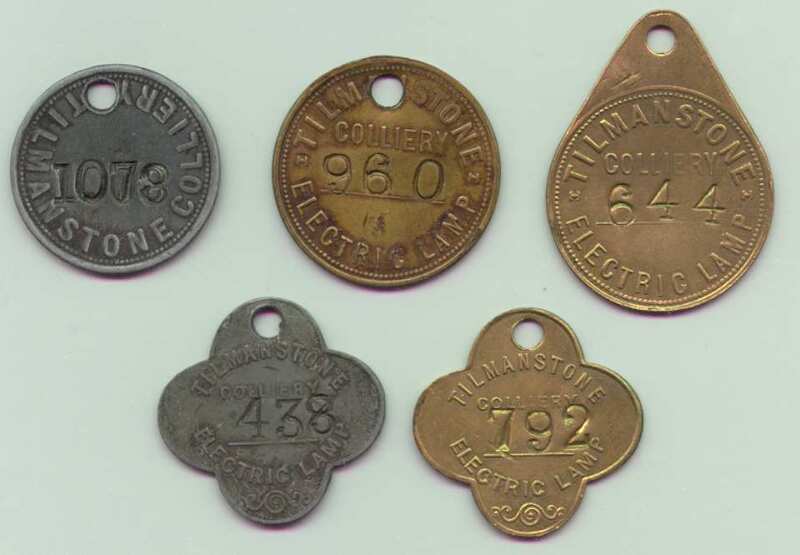 Most pit check collectors will be familiar with the very distinctive series of electric lamp checks from Tilmanstone Colliery in Kent. Most collectors agree that this series of checks are pre 1947 in date but probably continued in use well into the N.C.B. period. Tilmanstone Colliery Electric Lamp Checks (Pre 1947 issues). I have a copy of some brief and at times confusing notes relating to a checking system once employed at Tilmanstone. They were written by an ex-collier from the pit and can no longer be fully verified. It would appear from these notes that at any point in its history the colliery operated a system of at least two checks per miner. 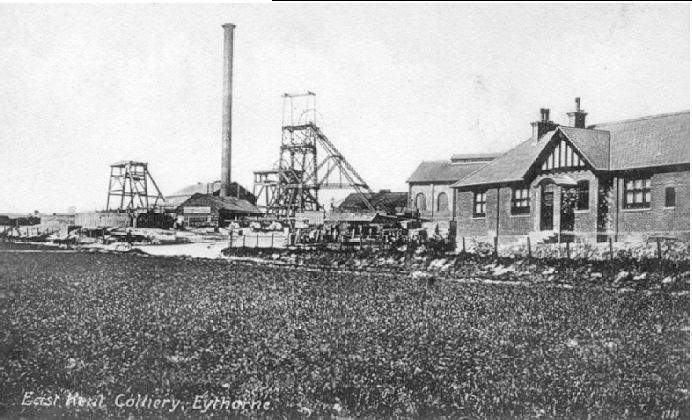 An early Picture Post Card view of Tilmanstone (AKA East Kent Colliery, Eythorne) Colliery, Kent. The original photograph for this view must have been taken during the sinking of the pit (1906-13) as indicated by the lack of pulley wheel on the No.2 shaft headgear. The two zinc checks, top and bottom left in the above illustration, are claimed by the ex-collier’s notes to date from the years just prior to the World War II when brass was needed for making bullet and shell cases. The notes appear to imply that the three brass checks, shown far right top, centre and bottom in the above illustration, were part of a separate and slightly earlier tallying system. The ex-collier’s account states that each miner collected a set of personally numbered checks from the time office at the start of each shift. It is inferred that the round brass check was issued to the lamp room attendant in exchange for an electric safety lamp. The remaining two checks in each miner’s possession were displayed to the onsetter prior to entering the cage and descending the shaft. On arriving at each of their designated work areas each miner would hang one of his remaining two checks (possibly the quatrefoil shaped one) on a district check board. The remaining check would stay on his person or would be suspended from his safety lamp for safekeeping. At the end of the shift each man would collect his check from the local district deployment board before ascending the shaft where both his checks would be handed to the onsetter who would return them, via a pneumatic tube system, back to the time office. On returning his lamp to the lamp room each miner would collect his remaining brass check. He would subsequently hand this back into the time office on leaving the colliery. The colliery management knew from the time office records exactly when each miner had arrived for work from the issue times of the individually numbered sets of checks. A record was available in the lamp room indicating to whom each lamp had been issued and when it was returned. The onsetter’s tally book recorded which miners had descended the shaft. The district officials knew who was working in their areas. 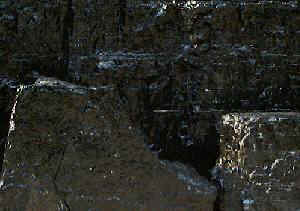 The onsetter records of tally returns indicated when each miner had returned to the surface. The returns of each miner’s lamp room check to the time office acted as a record of his departure time from the colliery. D - Drawer Off (Salvage Worker). Reverse of a Tilmanstone electric lamp check bearing its original owner’s trades "HFRD".